Portugal hosted the European Championships in 2014. 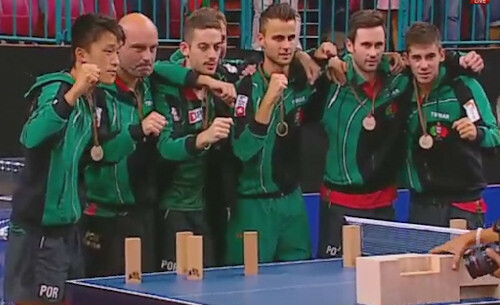 Although only teams in the Championships Division could compete for the top prizes, there were plenty of other Men's teams taking part in the 2014 European Team Championships. Ukraine, Lithuania, Denmark, Latvia, Slovenia, Switzerland, Bulgaria, Ireland, England, Turkey, Luxembourg, Finland, Serbia, Belgium, Estonia and Norway. Israel, Wales, Azerbaijan, Iceland, Malta and Jersey. There was a Championship Division with 16 teams, a Challenge Division with 16 teams and all other remaining teams were in the Standard Division. The top 14 teams from Championship division will be directly qualified together with the winner of Challenge division and the host – Azerbaijan Table Tennis Association. 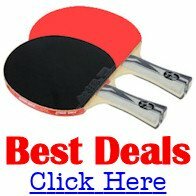 Each match consisted of up to 5 singles (each the best of 5 games) and were played on one table. The last European Team Championships were held in 2013 in Austria and the men's team winners were Germany, and the runners-up were Greece.